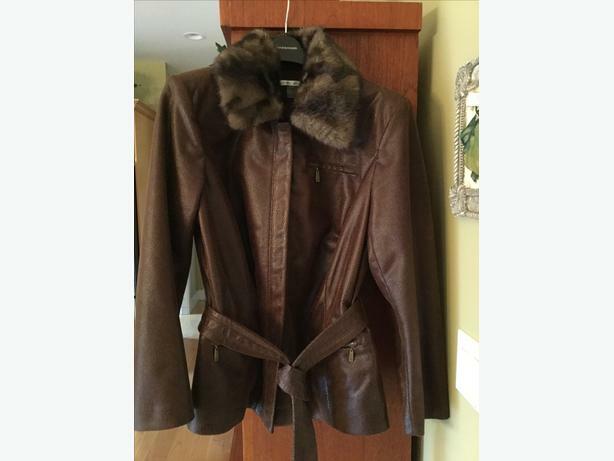 Beautiful Peter Nygard brown faux leather jacket with removable fur collar. New condition, worn twice. Size 16 non-smoking.